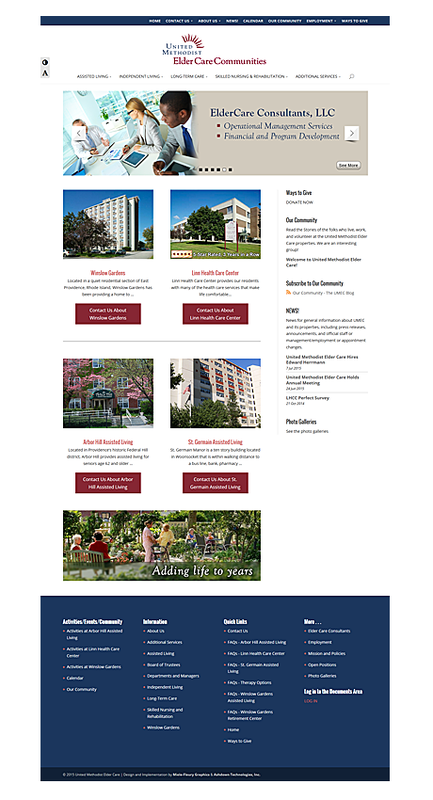 For Aldersbridge Communities (formerly United Methodist Elder Care Communities), we created a user-friendly site that would function both for family and friends of potential residents and for the residents themselves. The challenge was to incorporate the several different and distinct communities they represent with information about each of their services, amenities, and locations as well as information about their consulting services for the elder care services sector: Aldersbridge Consulting, LLC. Visit the Aldersbridge Communities (formerly United Methodist Elder Care Communities) web site.